The objective of this lab is to use an acid with a known normality to determine the normality of a base. 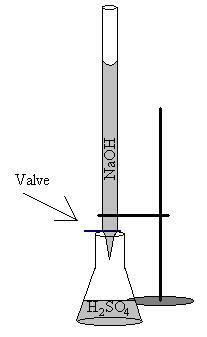 To accomplish this a system of titration will be used. After the normality of the base is determined, the base will be used to in turn determine the normality of another acid. From this lab it is concluded that the base used had a normality of approximately .991N, and the acid used had a normality of approximately .0601N.